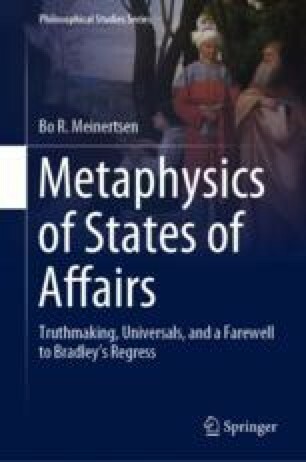 States of affairs are unified complexes that are instantiations of properties or relations by particulars. Van der Schaar, M. (2016). Review of Arianna Betti, Against Facts. Notre Dame Philosophical Reviews. Retrieved from http://ndpr.nd.edu/news/63965-against-facts.